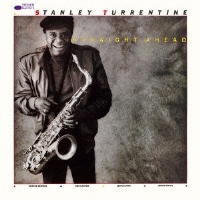 One of the first signing by Bruce Lundvall for the resurrected Blue Note label, veteran saxophonist Stanley Turrentine returned to the label with an album that was "Straight Ahead" in title and style. This star-studded album consists of two separate sessions; one featuring the incomparable Jimmy Smith on organ, George Benson on guitar and Ron Carter on bass; and the other featuring Les McCann on piano. Highlights abound, but the masterpiece here is Turrentine's magnificent reading of Thad Jones's "A Child Is Born." Recorded at Power Play Studios, Long Island City, NY, on November 24, 1984 (Tracks 3 and 5), and at Sigma Sound Studios, New York, NY on December 7, 1984 (Tracks 1, 2, 4 and 6). SHM-CD uses an advanced polycarbonate material for superior sound quality and is compatible with all CD players.